Don’t be fooled by the name, automatic screw machines – or the less formal ‘screw machine’ – are essentially lathes used to machine parts for industry or sale. Automatic screw machines don’t screw things in (as a drill or screwdriver would), and while they are capable of threading material, that is not their sole function. A screw machine is essentially a lathe which rotates a piece of material (i.e., wood, clay, metal) on an axis to perform various operations such as cutting, sanding, knurling, drilling, deformation, facing, or turning. Automatic screw machines fall into two categories – Swiss and Turret – and while they function differently, their output and benefits are more-or-less identical. Swiss screw machines are further subdivided into automatic and computer numerical control (CNC). 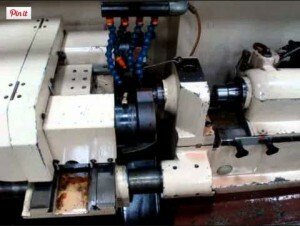 Both operate on a similar principle but the CNC machine – as its name indicates – is controlled by a computer. This computer control allows for a high RPM (10,000) and accuracy level (0.0002 to 0.0005 inches). The turret-type screw machine orients the material on a vertical ram which then moves into the tool.� Turret-type screw machines produce results nearly identical to the Swiss-style machine. 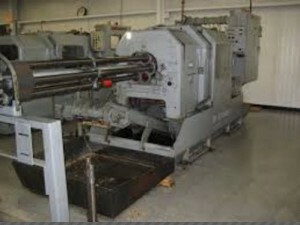 The main difference between the two types is precision: the Swiss-style machine is capable of a higher rate of accuracy. While screw machines (Swiss or Turret) come equipped with a single spindle, double spindle machines (even quadruple spindle or more) are increasingly popular as they allow for increased output. Using robotic integration, both Swiss-style and turret-style screw machines are capable of automatically transferring a part from one machine to another. Swiss-style machines are becoming increasingly popular these days with both automatic and CNC screw machines being widely used in the IT, automotive, and consumer electronics industry. Originally developed for high-quality, designer Swiss watch production, the automatic Swiss-style machines are prized for their accuracy and delicacy. CNC Swiss-style screw machines are sought after for their quick production times, low variable costs, and largely un-supervised production methods. Swiss-style machines of both types can handle exotic and common metals of varying strengths and composition making them widely applicable and integral in many different industries.